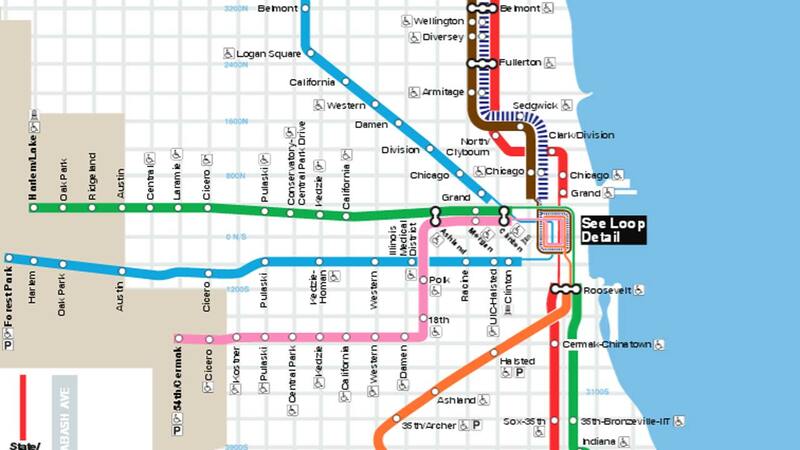 CHICAGO (WLS) -- A man was stabbed in the forehead at a CTA Red Line stop Wednesday, police said. The stabbing happened after a disturbance on a train near the Sox-35th stop around 7:30 p.m. Police said a 36-year-old man and a 26-year-old man got into an argument on a train. The argument turned physical and the 36-year-old man was stabbed in the forehead. The victim was taken to Northwestern Memorial Hospital in serious condition for treatment. Police said the 26-year-old man was taken into custody and charges are pending.